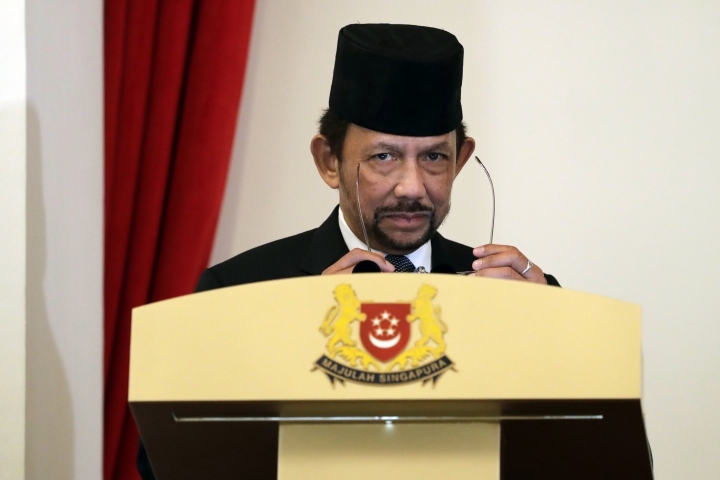 JAKARTA, Indonesia — The Sultan of Brunei has made a complaint of defamation to the Indonesian police about an Instagram account that criticized the wealthy autocratic leader of Southeast Asia's smallest nation. Yuwono said the police officer, who is also a prince in Brunei's royal family, was on a visit to Indonesia's capital, Jakarta, when he found photos of Bolkiah posted along with insulting comments on Instagram by the account "anti_hassanal." "There were some comments in the account that could cause hatred against the Sultan," Yuwono said. "It's considered to have harmed and defamed him." Yuwono refused to provide more details about the comments. He said the police are investigating who created the account. "Anti_hassanal" had deleted all of its posts as of Monday. Brunei, which makes up a sliver of the island of Borneo, has been ruled by the same royal dynasty for more than six centuries. It gets much of its wealth from oil and gas reserves that have also made the sultan extremely wealthy, with a fortune estimated at about $20 billion by Forbes. Hassanal began imposing Shariah law on the Muslim-majority country in 2014, sparking condemnation from rights groups.